Low-growing, branching and rooting at the lower nodes. Sheaths are without hairs. Leaves are broad and taper to a point, approximately 2 1/2 inches long by 3/4 inches wide. Leaf bases encircle the sheath and have conspicuous hairs along the margins. Leaves are without auricles and have a thin membranous ligule (often with hairs) that is from 1 to 2 mm long. 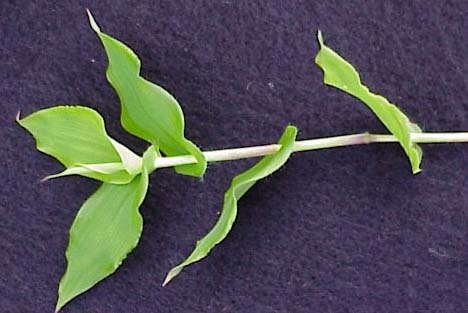 Many spikelets that resemble fingers. A fibrous root system with sheaths that root at the nodes. 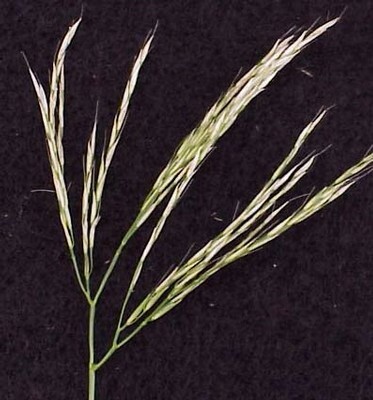 A low-growing grass with short, wide leaves with bases that encircle the stem and have hairs along the margins. This weed may be confused with Deer-Tongue Grass (Panicum clandestinum), but has spikelets instead of a panicled seedhead like that of deer tongue grass. 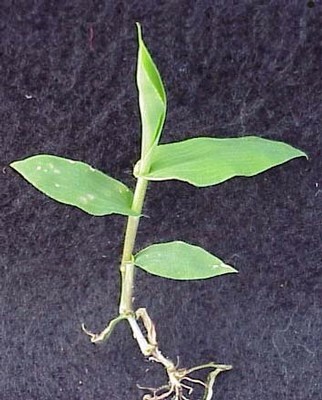 Additionally, the leaves of deer-tongue grass are generally much longer than those of jointhead arthraxon, and the stems of deer-tongue grass do not root at the nodes like those of jointhead arthraxon. 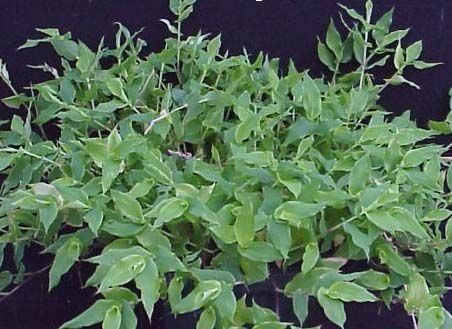 Jointhead arthraxon may also be confused with Asiatic Dayflower (Commelina communis), which also has broad grass-like leaves and a prostrate growth habit. 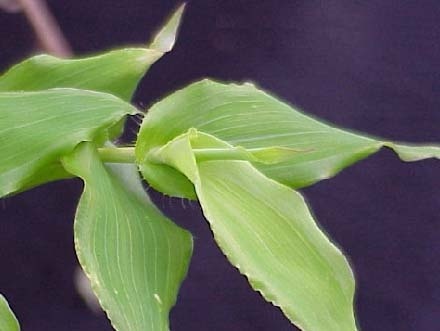 The two can be distinguished by the presence of a distinct ligule on jointhead arthraxon, which is not present on asiatic dayflower.